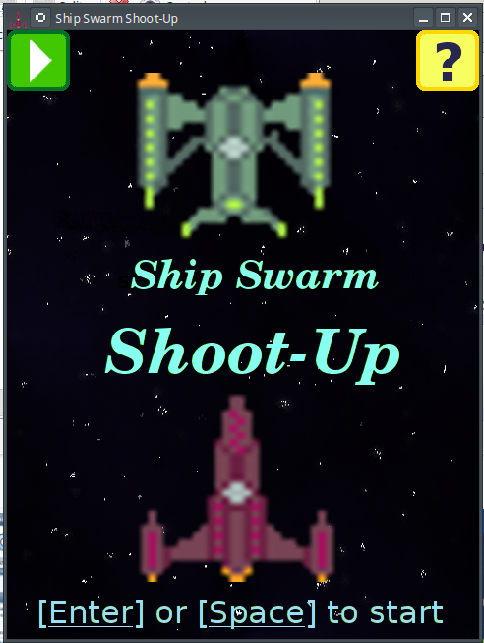 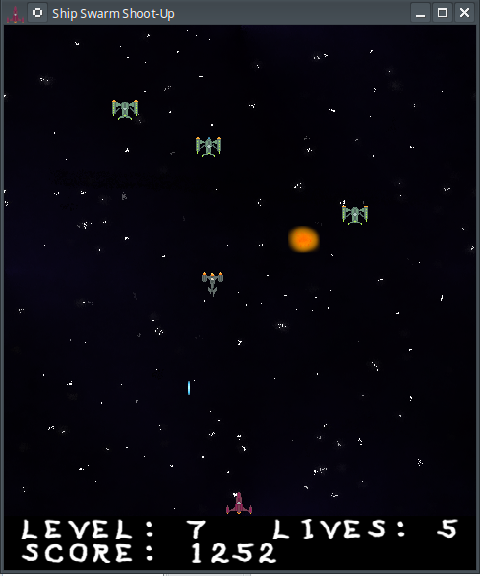 Ship swarm shoot-up is a simple, straight forward arcade space shooter in the classic early '80's style. Just shoot the waves of alien ships and try not to get hit when they shoot back! 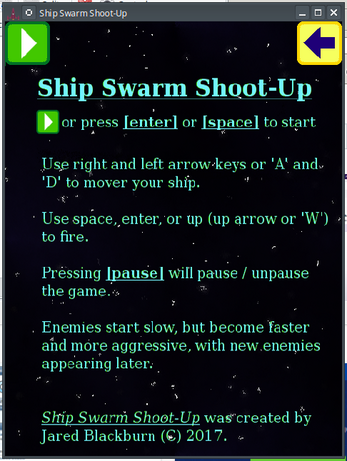 The pace of the game ramps up gradually, from slow and easy to fast paced and challenging within a couple minutes, even if it may not seem obvious from one wave to the next. Designed to be good casual fun without drawing in the player for hours at a time, you may still find it hard not to hit restart after each game! 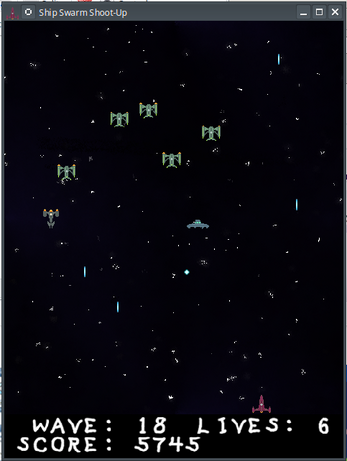 This is for all those people who love the old school arcade games.